Welcome to the official website of the EATONTON-PUTNAM COUNTY HISTORICAL SOCIETY, INC. Welcome to the new Eatonton-Putnam County Historical Society website! We hope you'll find this site a valuable resource for history about the City of Eatonton, Putnam County and her people. We will be updating information on a periodic basis. If you have any questions, comments and suggestions, please let us know by using our contact page. If you would like to become a member, please visit our membership page. We also would be delighted if you want to make tax-deductible financial donations or gifts, information and artifacts pertaining to the history of our area. If you would like to make a donation, please contact us. Periodic Updates: From time to time, we will be emailing important news about upcoming activities and events, new acquisitions to our archives and collections relating to the life and times of the people of this county over the last 200+ years to our members. We are constantly adding to the collection and this news will be released periodically. 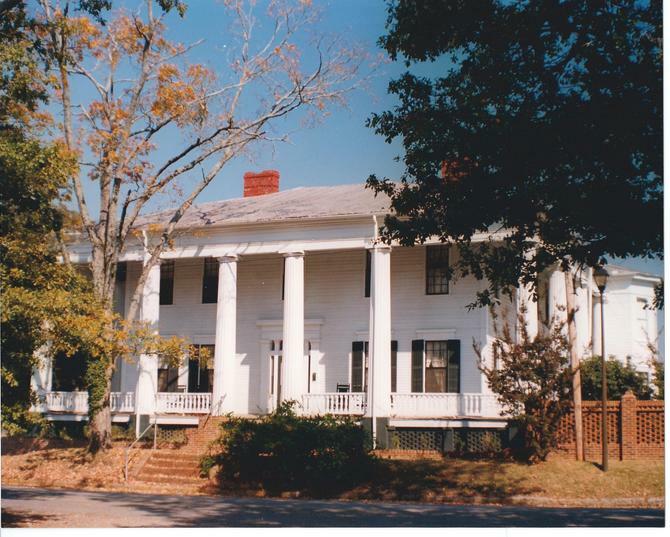 The Bronson House, 114 North Madison Avenue, Eatonton, GA, Headquarters of EPCHS, Inc.
Sign up to receive periodic updates! Thank you! Period updates are only available to members of EPCHS. Please learn more about our membership here.